If you're heading to the grocery or book store, check out the November/December 2010 issue of The Iowan. 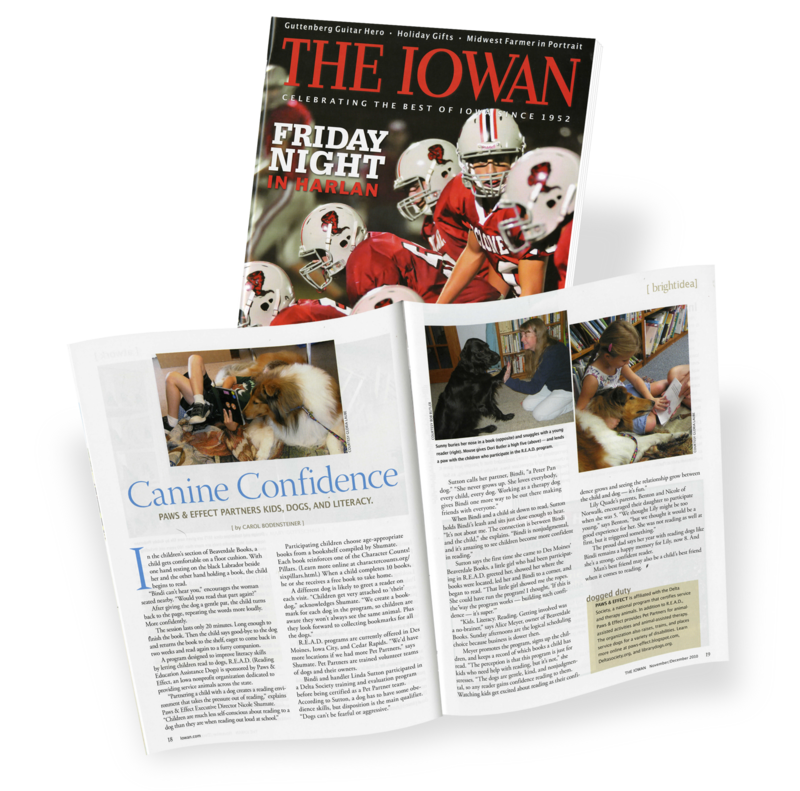 We are featured in a two page spread titled Canine Confidence that features the literacy program in which our therapy dog teams participate. It is another fantastic story. If you'd prefer, feel free to email me and I can send you a .pdf!